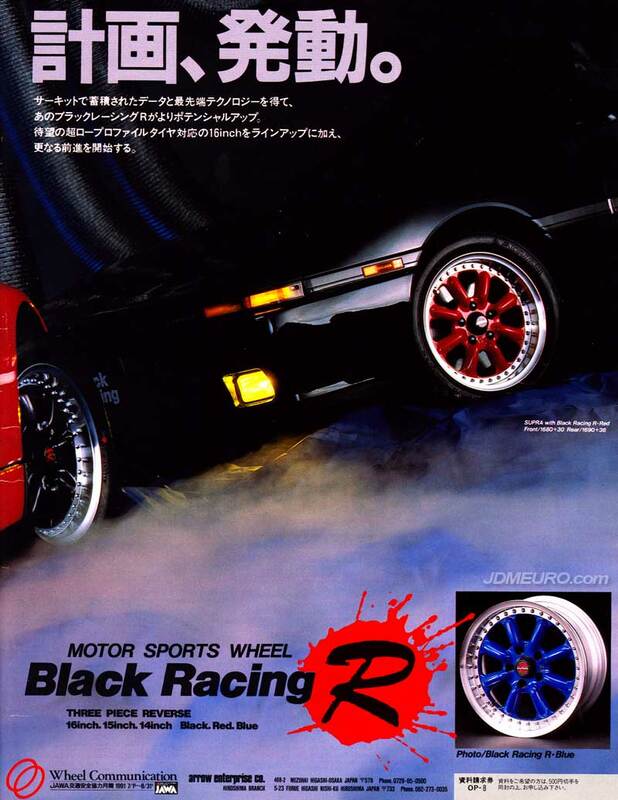 The Black Racing R are JDM Wheels which feature a classic 8 spoke banana spoke design. The Black Racing R feature three piece reverse mount construction with flat lips. The wheels are available in 14″ 15″ & 16″ diameters and in black red or blue. Pictured are the Black Racing R on a Mark III Toyota Supra A70.